The DJ side of DJ Hip Hop Cowboy was always there, but he never a thought of making it a business until 2004. He had toyed around with DJing since about 1983, but it was in 2004 where he was introduced to the Virtual DJ program. He was ”wowed” by the capabilities of this program and had not seen anything like it before. 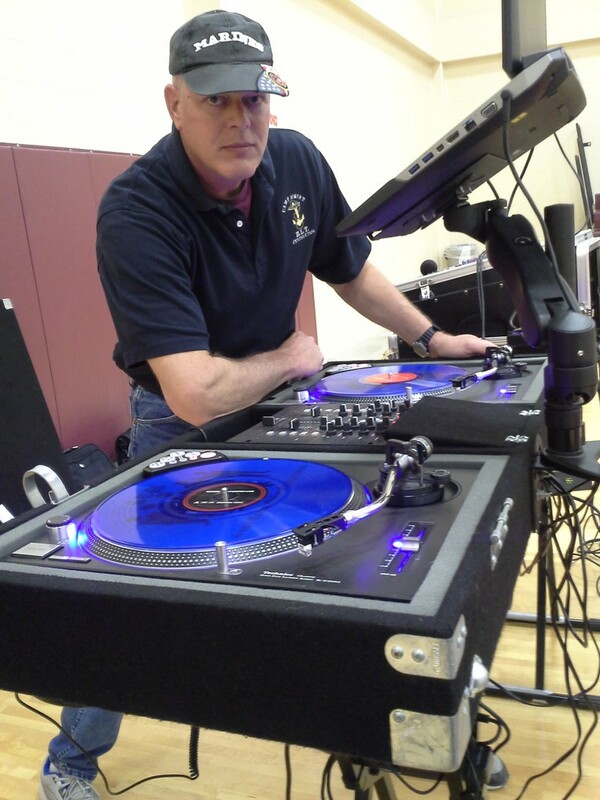 He had a Halloween party for his NJROTC students where he DJ the party. The students informed him that he was really good and that he should DJ school dances. That was all it took to get the ball rolling on this DJ story. Because DJ Hip Hop Cowboy already had a website and a mobile haunted house business called your-haunted-house.com, he just tagged the DJ Business to that and called himself and his crew the DJs from your haunted house.com entertainment productions. The years went by and the DJ business continued to grow as a Mobile DJ service. He then realized that every year he was setting up a video presentation with school equipment for the JROTC Banquet and Awards ceremony and with that knowledge and expertise he could implement the same set up in his DJ business and project Music Videos. He purchase the equipment needed, and the birth of South Texas hottest Music Video DJ had just taken place. He started getting into lighting, lasers and stage lighting and the business just took off as it became one of the best mobile DJ services with the hottest mobile light show in South Texas. DJ Hip Hop Cowboys DJ Company, South Texas Mafia Entertainment grew to a point where he had himself and three DJs, two Light Masters and was able to do three gigs a night. His professional DJ experiences include numerous weddings, birthdays/Quinceaneras, School Dances, Military Balls, small bars, Night Clubs and local and City events, including numerous benefit type events to benefit organizations and individuals where he did not charge a penny for his services. The Birth of South Texas Mafia Entertainment came about when he and his crew decided to make their own music and record label around Nov of 2010 and came up with the name South Texas Mafia Records. He and his crew made a few Techno type songs and worked on a Hip Hop song and Music Video but found it very difficult to market themselves and to find dedicated singers. On Sep 6, 2011 he made it official and changed the business name to South Texas Mafia Entertainment. The business changed again in August of 2013 to Corpus-Christi-DJ.com, and in October of 2013 another life changing experience took place and he moved to Edinburg Texas, and was serving the Rio Grande Valley as Edinburg Sound & Light. The DJ business is a fast, fluid world and constant improvement is a must. DJ Hip Hop Cowboy moved to and lived on his other ranch in Edinburg TX from October 2013 to January 2014 and has been the exclusive DJ service for The Blue Parrot Night Club in Edinburg Texas and has done gigs at the Monte Cristo Country Club in Edinburg Texas for their Tejano and Country night, and has performed at the San Antonio Bar and Grill in Alamo TX and Bliss Night Club in McAllen TX. He has done events for numerous cities in the Rio Grande area such as the Candle Light Posada for the City of McAllen TX and the Scholarship fund raiser for the City Of Pharr, Chamber of Commerce in Pharr TX. After spending a couple of months in the Rio Grande Valle growing his DJ business there, DJ Hip Hop Cowboy moved back to his Mathis ranch in January 2014, and has re-designated his business as South Texas Mafia Entertainment keeping all the old .com names so customers old and new can continue to find him. In 2013, his new venture was in the live sound, concert lighting, Back Line service and instrument rental. A new era in the South Texas Mafia Entertainment story as we become the small , medium or large venue concert powerhouse. We have done several concerts and live sound events to date and continue to grow and learn in this field of the entertainment world. DJ Hip Hop Cowboy continues to serve mainly as a Mobile DJ for private parties, continuing to "wow" his customers with an impressive intelligent light show and the hottest, newest music videos. DJ Hip Hop Cowboy strives to be the best and provide a large selection of options and pricing to fit the needs of all his customers. We are the DJ Mafia and we will take over South Texas. Kosta (Dino) Maravelias was born 1963 and raised in Poughkeepsie, NY. As a young man his main interest was Drum & Bugle Corps. He joined the Marine Corps October of 1981 and served in many different billets. Gunnery Sergeant Kosta Maravelias retired from the United States Marine Corps on October 31st, 2001, he was a Drill Instructor at the Marine Military Academy in Harlingen TX, from October 2001 to May 2003. He was the Roy Miller High School NJROTC Naval Science One Instructor from August 2004 to October 2012. Naval Science One Instructor at Tuloso Midway High School in Corpus Christi Texas June 1st 2013 to June 15, 2018. Currently the Moody High School Naval Science One NJROTC Instructor. (Gunnery Sergeant) Kosta Maravelias received his Degree in Health Science Technology at Coastline Community College. Gunnery Sergeant has also worked as an adjunct Force Protection Trainer at Del Mar College, assisting in training of Active Duty Navy personnel on ship board security and tactics. He is married, has five children and is a resident of Mathis Texas. Please join and subscribe to the channel.